For the best results, involve Sarah from the very beginning. Early interior designer involvement, including collaborating with the entire build, or remodel team ensures that the ‘space created’ fits your lifestyle perfectly. As a leading Interior Designer in the Fort Collins area, Sarah’s insight adds that special touch needed when creating timeless value in your home or business. Hixon Interiors provides quality design and management services whether your project is large or small. We bring each client the solutions they desire, from the initial consultation to the completion of your project. We at Hixon Interiors know craftsmanship from the inside out giving you complete confidence in knowing we will only select quality craftsmen and materials. We cover all aspects of a design project including new construction, renovation, interior design and installation. 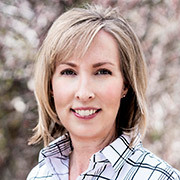 Sarah Bashore, ASID, is a leading Northern Colorado interior designer and owner of Hixon Interiors. Sarah brings a wide range of expertise, a keen sense of aesthetics and attention to detail to each project. Sarah is a professional member of the American Society of Interior Designers (ASID) and has been NCIDQ certified since 1999. She also holds a Bachelor’s of Science in Interior Design from Utah State University. 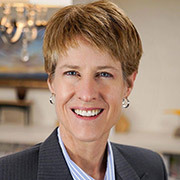 Sylvia Ashley, Project Manager, has been with the company since 2005. Her dedication to planning, coordinating and implementing projects, makes her an integral part of our team. Sarah, Sylvia and the Hixon team work seamlessly to ensure a great customer experience. Sylvia holds a Bachelor’s of Science from CSU and enjoys rock climbing and traveling when not managing projects. 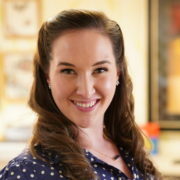 Sarah Vernon, Junior Designer, is passionate about turning a house into a home that enhances the client’s lifestyle. She received her associate degree in Interior Design from Front Range Community College and has a well-trained eye for color and materials, she is recognized for her fun and timeless style that remains fresh year after year. When she is not designing, Sarah enjoys being a dance instructor. All rights reserved ©2019 Hixon Interiors.